[S541] National Archives of Britain, at http://www.nationalarchives.gov.uk, The National Archives, Kew; General Register Office: Registers of Births, Marriages and Deaths surrendered to the Non-parochial Registers Commissions of 1837 and 1857; Class: RG 4; Piece: 3988. [S530] Find My Past website, at https://www.findmypast.com, Plymouth Baptism Registers, p126. 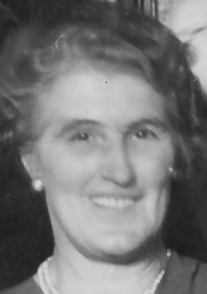 [S871] FamilySearch, at https://familysearch.org/, FHL film 916920, England, Select Marriages, 1538–1973. [S981] Will - John Smyth, UK PRO prob11/1440 image 332-3, The National Archives, Kew; Prerogative Court of Canterbury and Related Probate Jurisdictions: Will Registers; Class: PROB 11; Piece: 1440. [S581] London Metropolitan Archives, at http://www.ancestry.co.uk, St Leonard Shoreditch, Register of baptisms, Nov 1778 - Sep 1785, P91/LEN/A/004/MS07496, item 009, daughter of John and Sarah SMYTH of Holywell St.
[S190] Index - GRO and Office of National Statistics, England & Wales Civil Registration Qtrly Indexes, Birth: District of Oundle, Vol 15, p351, 2Q1849, mother's maiden name WARD. [S284] Index - New South Wales BDMs online, at http://www.bdm.nsw.gov.au, Marriage Reg. No. 17/1936. [S754] Palmdale Lawn Cemetery & Memorial Park database, at http://www.palmdalegroup.com.au, Section - Rose Garden, row RG24C, lot 49. [S612] GRO Scotland, birth/bapt record, District of Hamilton, Statutory Births, GRO 647/00 1238. [S917] GRO Scotland, marriage record, District of Blythswood, Statutory Marriages, GRO 644/10 1752. [S918] GRO Scotland, death record, District of Old Monkland, Statutory Deaths, GRO 652/01 0018, aged 66. [S918] GRO Scotland, death record, District of Glasgow, Statutory Deaths, GRO 613/00 0944, aged 82, mother's maiden name MURGITROYD, under name of MACINNES. [S183] National Archives Film - Queensland BDM Indexes, Microfilm, Reg. No. 1916/001387. [S488] Index - Queensland BDMs (online and fiche), at https://www.qld.gov.au/law/…, Death Reg. No. 1980/675. [S753] Australian BDM Indexes 1788-1950, at http://www.ancestry.com/, Reg. No. 5382, father George W, mother Alice. [S488] Index - Queensland BDMs (online and fiche), at https://www.qld.gov.au/law/…, Birth Reg. No. 1983/C707, parents Horace John and Elizabeth Harriet MANN. [S396] Ryerson Index to Australian Newspaper Death and Obituary Notices, at http://www.rootsweb.com/~nswsdps/dpsindex.htm, Fraser Coast Chronicle (Hervey Bay), 18 Sep 1978. [S183] National Archives Film - Queensland BDM Indexes, Microfilm, Reg. No. 1914/005239. [S488] Index - Queensland BDMs (online and fiche), at https://www.qld.gov.au/law/…, Death Reg. No. 1987/621. [S1021] BDM SA Registry, marriage record, Vol 262, p603. [S365] CD - Sth Australian Births, Sth Aust Index of Births 1842-1906, Book 324, p16. [S484] Index - West Australian BDMs online, at http://www.bdm.dotag.wa.gov.au/_apps/pioneersindex/…, Death Reg. No. 753. [S688] Metropolitan WA Cemetery database, at http://www.mcb.wa.gov.au, Application KC00004917, aged 65, ashes scattered over garden at Karrakatta Cemetery. Richard died before September 1849, probably in New Zealand, given his wife Eliza re-married there. [S190] Index - GRO and Office of National Statistics, England & Wales Civil Registration Qtrly Indexes, Marriage: District of Bridport, Vol 8, p45, 3Q1838. [S871] FamilySearch, at https://familysearch.org/, FHL film 1279488, Burton Bradstock, Dorset, England 1790 - 1823. [S871] FamilySearch, at https://familysearch.org/, FHL film 2427419, England, Dorset, Parish Registers, 1538-1910.